I always have the pleasure of attending St. Patrick’s Day party, hosted by my daughter and her husband. 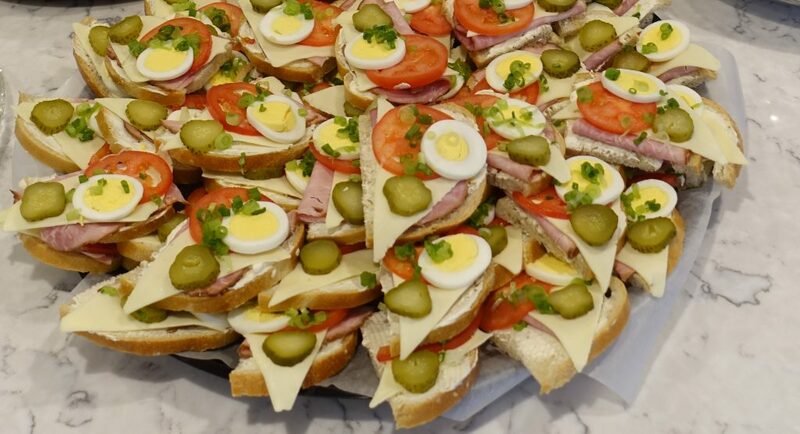 You can also check out my Pinterest board for “Party Foods”, for lots of new ideas and recipes. 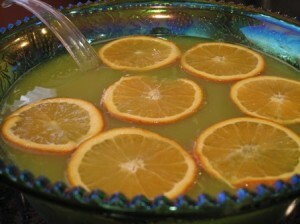 Perfect Non-alcoholic Green Punch for those who prefer to keep it that way, or for ALL designated drivers. 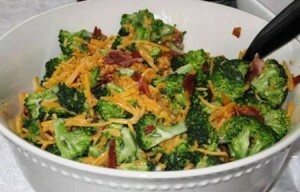 Not only green, but really filling and delicious, is this Broccoli/Bacon/Cheese salad. Everyone’s favorite…really! 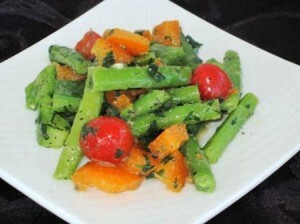 Green Beans Vinaigrette is another wonderful salad for St. Paddy’s Day. 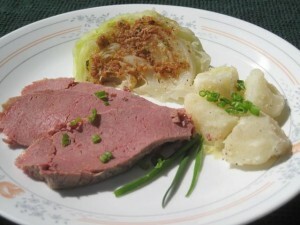 I like to prepare a Corned Beef, cabbage and boiled potatoes meal for my family, around St. Patrick’s Day, just to be a good sport, and support those who are more into it. 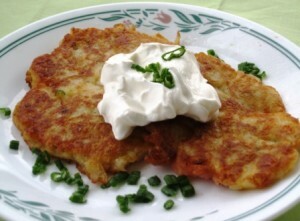 You know how the Irish feel about their potatoes…hence these Irish Potato Pancakes. Sooooo yummy!! 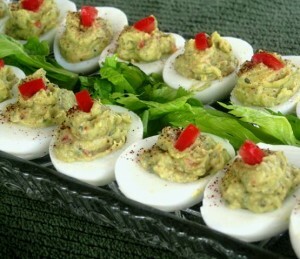 These Guacamole Delived Eggs are a great “chaser” for shots of Irish Whiskey. 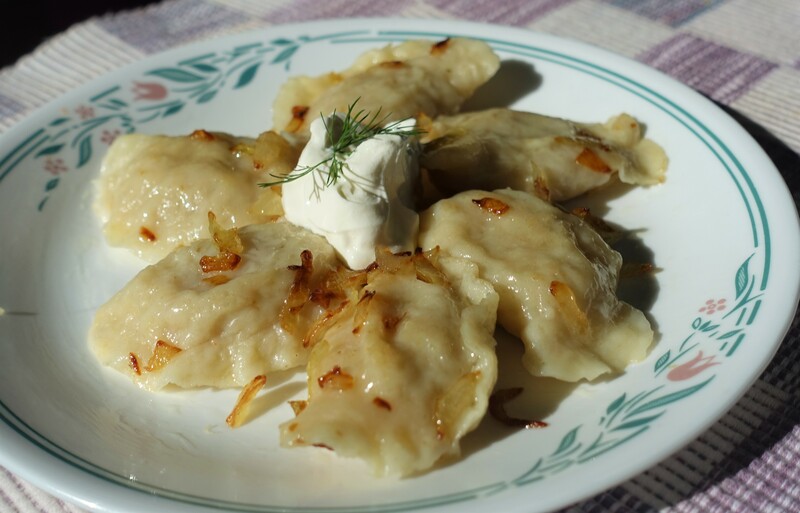 Speaking of potatoes, we will add some potato filled Ukrainian Verenyky (Perogies) to this spread of party foods. I am always looking for your comments and suggestions of party foods you like to prepare. Thank you.